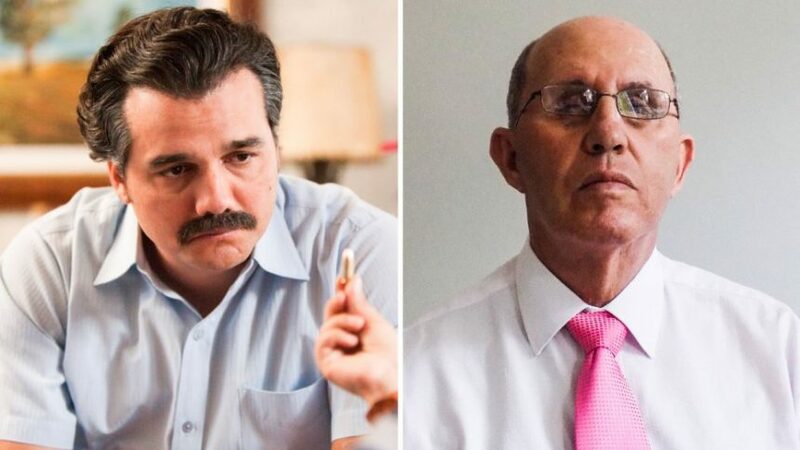 Pablo Escobar’s brother, 71-year-old Roberto de Jesus Escobar Gaviria, revealed to the Hollywood Reporter that he plans to sue Netflix for $1 billion over their series Narcos, which focused two seasons on the downfall of his brother, cocaine kingpin Pablo Escobar. 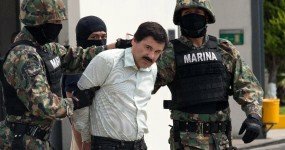 Speaking from his home in Colombia, the Escobar Inc owner said, “I don’t want Netflix or any other film production company to film any movies in Medellin or Colombia that relates to me or my brother Pablo without authorization from Escobar Inc. It is very dangerous. Especially without our blessing. This is my country. The dispute is due to be settled soon and details will be updated as the events happen. 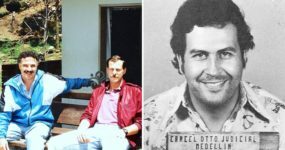 On December 3rd, 1993, the New York Times announced the death of Pablo Escobar on their front page: “Pablo Escobar, who rose from the slums of Colombia to become one of the world’s most murderous and successful cocaine traffickers, was killed in a hail of gunfire…” The life of the cocaine kingpin is detailed in the Netflix series Narcos as season two focuses on the DEA agents who are sent to Colombia on a U.S. mission to capture and ultimately kill Escobar. 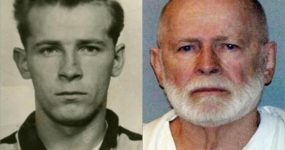 But how did the son of a farmer and an elementary schoolteacher become one of the most feared men in the world who was responsible for the deaths of more than 3,000 people? 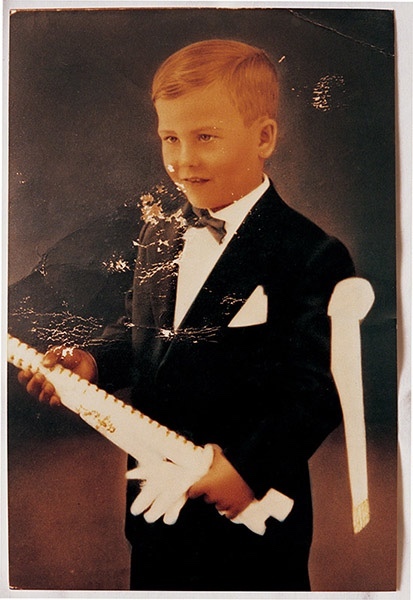 How did he rise up as the Robin Hood of Colombia – with 25,000 people present at his funeral? At six-years-old, he would walk for an hour every day to school, which eventually wore his shoes down so badly he found it better to walk barefoot. When he arrived in the classroom, his teacher sent the barefooted-young boy home – humiliated and exhausted, this broke his mother’s heart. Although she had no money to spare for new shoes, she went to the nearest shop and stole a pair for her son. Once home, she realized her mistake – they were two odd shoes. After confessing her sins to a priest, the shoes were returned and she bought a new pair on credit. 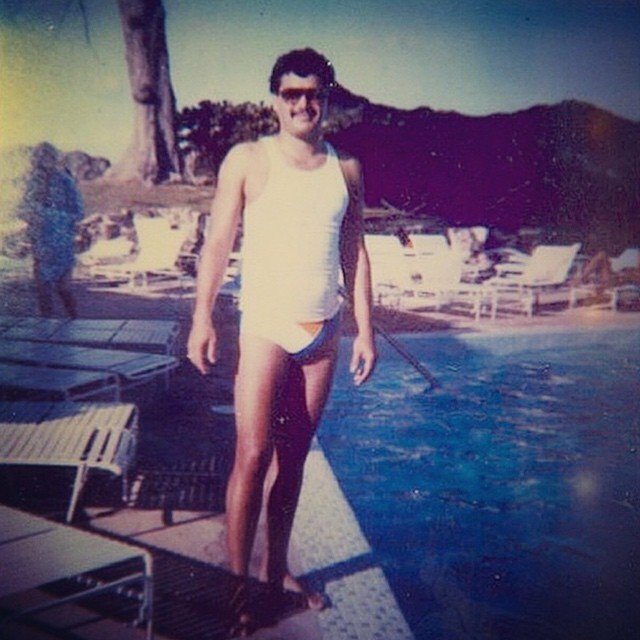 Pablo Escobar comforted his mother and told her, “Don’t worry, mom, wait until I grow up, I will give you everything.” Forty years later, Forbes magazine listed him as the seventh richest man in the world with an estimated net worth of $25 billion. Working long hours on the farm, Pablo’s father was often absent from the family home. His mother struggled daily, keeping a household with seven children together as well as holding down a job of her own. The young Escobar children had to learn independence and how to fend for themselves. 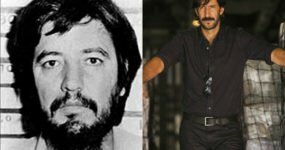 When his mother had time to share her attention with the family, they loved to hear stories of their grandfather, Roberto Gaviria, who had made his fortune as a whiskey smuggler – always outwitting the authorities with new ways to keep ahead of the game. This story had a profound impact on a young Pablo who looked up to his grandfather, someone he later aspired to be. 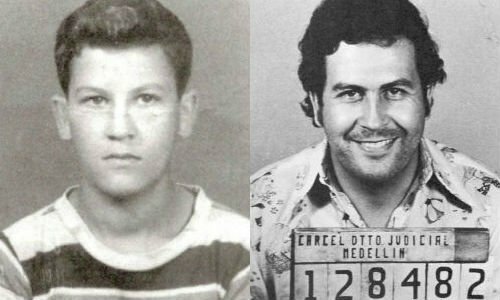 To understand Pablo’s hatred for the establishment is to look at what era he grew up in. He learned about the United States and the impact the country had on his own at a very young age. 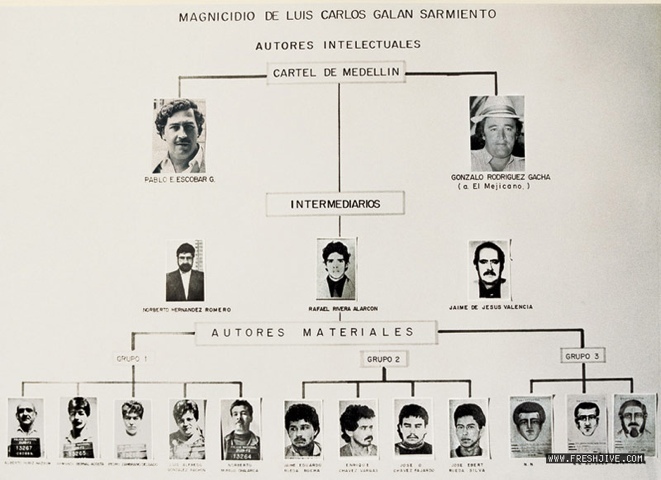 According to a documentary elaborated by the Cuban ICAIC, the C.I.A had instigated “Operation Pantomime”, assassinating Colombian presidential candidate Jorge Eliécer Gaitán as a way to curb communist and leftwing influence in the region. This then lead to the beginning of “La Violencia”, a ten-year period of civil war in Colombia from 1948 to 1958, between the Colombian Conservative Party and the Colombian Liberal Party. Political assassinations and massacres were a daily occurrence, and innocent families were pushed into poverty and violence. “La Violencia” is estimated to have cost the lives of at least 200,000 people, so for young Pablo there was always death. At the age of 13-years-old, Pablo was elected as the president of his own school’s Council for Student Wellness, a group that demanded food and transportation for poor. Pablo hated poverty, hated injustice, and vowed by the age of 30 he would be the President of Colombia and a millionaire. His first “job” that made him money was stealing tombstones from the local cemetery. He would use his relative, who had a marble polishing shop nearby to remove the names, and sell them for reuse. 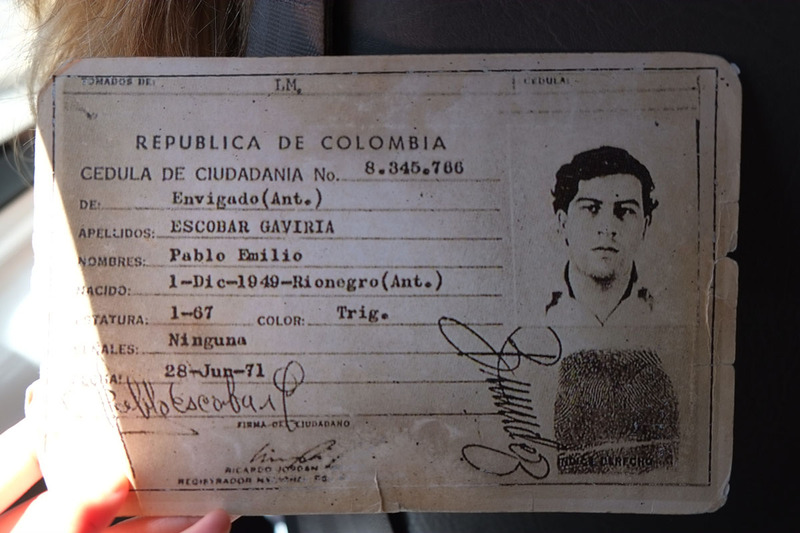 Pablo would only loot the tombstones from graves that were ill tended or seldom visited – whether this was out of respect for grieving families or to avoid detection is unknown. Pablo was soon expelled for arguing with the teachers about how the lessons were taught. Returning back to street crimes; selling fake lottery tickets, smuggling contraband cigarettes, running street scams, stealing cars, smuggling goods and assaulted people – this was his life now. 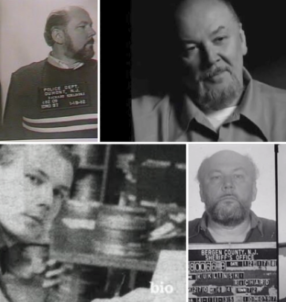 It was clear he had already begun to cut a new path, one that would eventually lead him to ordering the deaths of more than 3,000 victims. At 20-years-old, he had already become a legend on Medellin’s streets. He acquired his first rifle, would walk into banks, and simply ask for all the money to be emptied into his bag with a dead expression on his face. 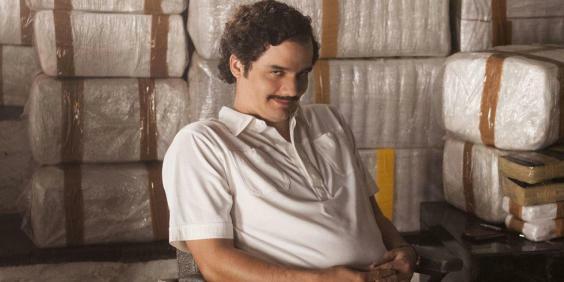 Pablo Escobar had lost all fear. It was this confidence that attracted others to him, they saw his fearlessness as security and a gang was beginning to form. One of his earlier gang members said, “He was like a God, a man with a very powerful aura. When I met him for the first time it was the most important day of my life.” Pablo rarely got his hands dirty again, instead ordering his gang to kill whoever got in his way.